Teeth are exposed to hundreds of oral bacteria and also challenged by the mastication forces; because teeth are situated in oral cavity, the entrance of the digestive tract, and penetrates through the oral epithelium. The periodontal ligament is a noncalcified tissue that possesses abundant blood vessels, which exist between tooth root and alveolar bone. The ligament is thought to play an important role in absorbing the impact of mastication, in the maintenance of periodontal homeostasis, and in periodontal wound healing. We succeeded in isolating mesenchymal stem cells (MSCs), so-called periodontal stem cells (PDLSCs), with self-renewability and multipotency from the periodontal ligament. We also demonstrated that PDLSCs share some cell surface markers with pericytes and that PDLSCs distribute themselves to stay with the endothelial cell networks and that PDLSCs maintain the endothelial cell networks when added to endothelial cell network formation systems. Pericytes are located in the proximity of microvascular endothelial cells and thought to stabilize and supply nutrients to blood vessels. 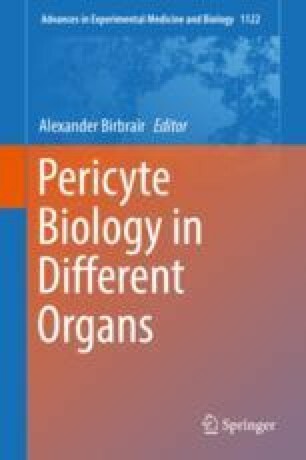 Recently, it was also reported that pericytes possess multipotency and can be the source of tissue stem cells and/or progenitor cells. This review explores the distinctive features of the periodontal ligament tissue and PDLSCs as well as the puzzling similarities between PDLSCs and pericytes.